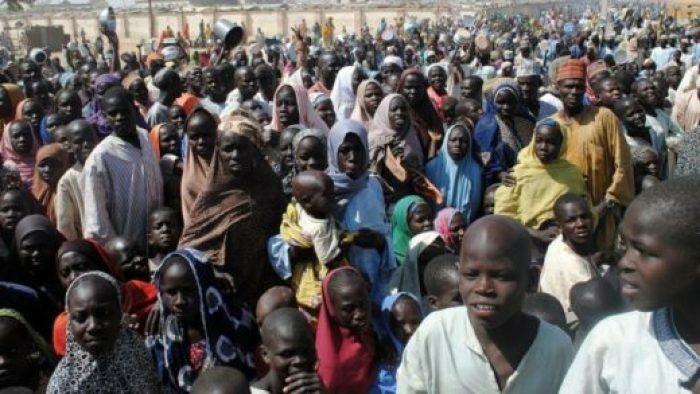 The National Emergency Management Agency (NEMA) has confirmed that 8 persons were killed and 2, 940 others displaced when Boko haram insurgents attacked 4 communities on Oct. 31, 2018. The four communities include Dolori II Internally Displaced Persons (IDPs) camp; Kofa, Mallumti, Ngomari and Gozari villages. Following the attacks, Borno State Emergency Management Agency (SEMA) yesterday distributed relief materials to victims of Boko Haram insurgency from 4 communities in Konduga Local Government area of Borno state. Presenting the items, Hajiya Yabawa Kolo, the Borno SEMA Executive Chairman who was represented by Ali Alhaji, the Director Planning of SEMA, said the gesture was to alleviate the sufferings of the victims of the attacks. Kolo said that the items Include food stuff, blankets, detergents, clothing materials and insecticide treated nets. She added that state government will however collaborate with the Presidential Committee on North East Initiative (PCNI) to rehabilitate and reconstruct their houses destroyed during the attacks. The SEMA Executive Chairman further called on the people to be vigilant and report suspicious movements and activities in their communities to security agencies. Which Law Really Justify The Ban Of Jehovahs’s Witnesses In Russia?